Grants are gift aid from federal, state, or university sources. They are awarded to students based on need, and they do not need to be repaid. You must complete the Free Application for Federal Student Aid (FAFSA) for grant awards. The Federal Pell Grant, Toward Excellence and Access Grant and TEACH Grant require enrollment in 12 credit hours to gain eligibility for maximum awards. Certain grant programs are prorated based on your enrollment for the term, but generally students must maintain at least half-time enrollment to qualify for an award. Based on exceptional need, Federal Pell Grants are awarded to undergraduate students who are citizens or eligible non-citizens, and who have not earned a Bachelor’s degree. Students who file the FAFSA are automatically considered for Pell Grants. For 2018-19, full time awards start at $606 with a maximum award of $5,920. Federally funded awards for undergraduates who are citizens or eligible non-citizens and apply on time. SEOG is not available to applicants. Awards are based on financial need, and range from $100 to $4,000. Preference is given to Pell Grant with recipients with the lowest need who meet the financial aid priority deadline for awarding. The Texas Public Education Grants are awarded to students who are citizens or eligible non-citizens, and who have been regularly admitted into a degree-seeking program. Students who file the FAFSA are automatically considered for the Texas Public Education Grant. Full time awards start at $100 with a maximum award of $4,000. 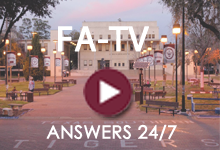 Students who cannot apply for aid using the FAFSA are encouraged to complete the TASFA. Parental information is required for students who are considered dependent by federal guidelines. Students must show financial need according to the federal guidelines and register for selective service or be exempt from this requirement. Based on a combination of need and merit, the TEXAS Grant is designed to provide a renewable award to students. There are several pathways to enter the TEXAS Grant. Student must meet enrollment, eligibility and satisfactory academic progress requirements to renew the grant. Maximum hours or enrollment apply based on the pathway the student enters the TEXAS Grant program. The TEACH Grant program is a non-need based grant program that provides up to $4,000* per year to students who are enrolled full time. TEACH Grants are available to citizens and permanent residents only. Reduced eligibility is calculated for less than full time enrollment in an eligible program (see ‘Eligibility Criteria’ below). Students must agree to teach in a high-need field, at low-income elementary or secondary school as a highly qualified teacher for at least four years within eight years of completing the program for which TEACH Grant was awarded. The student must sign a service agreement to this effect annually, and complete all required counseling prior to receiving TEACH Grant. 3.25 GPA is required each semester to establish and maintain eligibility. Students must be formally admitted into the college of education or have a signed degree audit certifying the courses completed will apply to a major and degree within the College of Education. If the student subsequently fails to meet the requirements of the service agreement, TEACH Grant will be treated as a Direct Unsubsidized Loan, and the student must repay the TEACH funds, with interest accrued from the date of disbursement. 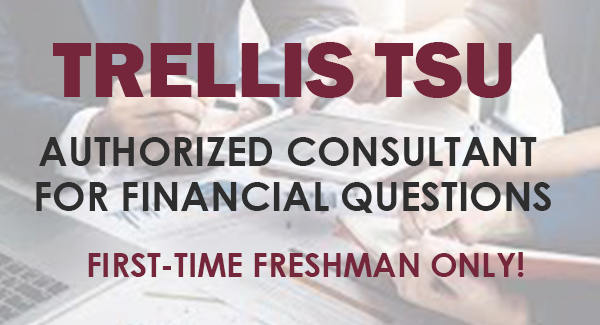 The Helen Giddings College Completion Program supports students attending Texas Southern University who are nearing the completion of their requirements for graduation but may fail to do so due to unmet financial need. The Completion Grant is designed to provide financial support to students who are academically eligible for graduation, but have exhausted their ability to receive funding from the Federal Pell and Direct Loan programs. The Helen Giddings Completion Grant was designed to provide a possible resource for students who are in their final semesters and are academically eligible for graduation but have limited resources as a result of exhausting their eligibility for the Federal Pell and Direct Loan programs. be classified as a senior during the term(s) in which the Grant will be used. have a cumulative GPA of 2.5 or higher or the minimum GPA required for graduation in the student' declared major, whichever is higher. be near the aggregate limits or have exhausted eligibility to receive federal grants and loans. Attach copy of degree plan certifying the student is eligible to graduate this term. Review aggregate loan limits, prior to submitting application.